Beyonce @beyonce pregnancy announced enters Guinness World Records as the Most-Liked image on Instagram @instagram. Guinness World Records confirmed the news on twitter via their official twitter handle @guinnessworldrecords few hours ago. 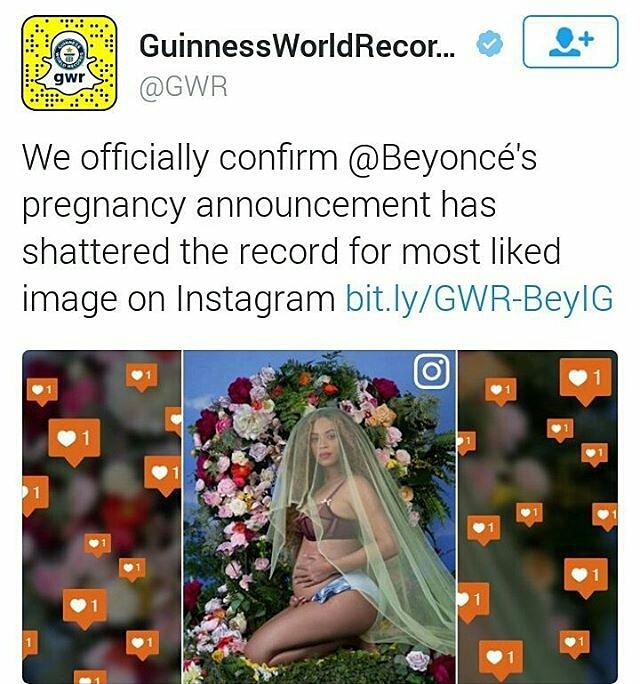 It reads "We officially confirm Beyonce's @beyonce pregnancy announcement has shattered the record for the Most liked image on Instagram"